Digital badges provide credentials to demonstrate successful student acquisition of knowledge, skills, and experience. The digital badges can especially excel at demonstrating new and emerging technology experiences through the use of wearable devices tailored to prepare students for the modern work place. Digital badges become virtual tracking systems making it possible to show students' specific learning, skills, and ultimately their employability. Not only do they record data on the individual student, they can track the institution and issuer each student has interacted with. With each successive use of such badges, a virtual narrative can be recorded reflecting how the badge was earned, what criteria was used, what standards were met, the rigor, and the different levels of learning. 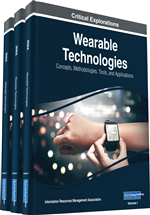 This chapter discusses the potential uses of digital badges as the framework for assessment, along with ideas and guidelines for the integration of emerging mobile and wearable technologies. The use of digital badges is gaining momentum as a new representation for credentials and has the potential to become an accepted system in credentialing students for knowledge gained, skills learned, and achievements accomplished. A few higher education institutions are examining the use of badges for awarding non-academic credit. For example, Colorado State University (CSU) created a skills based digital badge program in gardening called: The Certified Gardener program. This program is based on the Colorado Master Gardener curriculum, which allows students to earn various badges as they complete the program. The push for creating and implementing a different credentialing system is a result of higher education institutions being called into question regarding students’ employability after graduation. Many institutions are required to demonstrate student-learning outcomes of knowledge and skills acquired throughout their college experience while employers are looking for specific skills and achievements that fit their needs. To acquire the necessary knowledge and skills many students are taking courses from online education providers; however, many programs lack the ability to provide the necessary credentials to verify what these students have learned, know, and can do. Students who are highly competent or proficient in skills not taught or assessed in schools lack a standardized way to demonstrate their abilities to others (Grant, 2014). Employees struggling to change careers or update skills face insurmountable obstacles when returning to school as adult learners, and without appropriate credentials to communicate their knowledge and skills find themselves unemployed or underemployed working in low-paying jobs. Although some online courses may not offer degrees or diplomas, they do offer digital badges certifying specific skills and achievements students have learned. Through the use of digital badges, students and potential employers have the opportunity to access information anytime and anywhere 24/7. Digital badges are transparent, information rich, and bundled into one area. Employers in one click are able to access information about the organization, individual, or entity issuing the badge. They can also view student knowledge, achievements, and skills, how the badge was earned, what criteria was used, what standards were met, the rigor, and the different levels of learning. With this knowledge, employers are able to hire the right person for the job and not spend additional time training. There are a number of organizations, educational providers, and communities supporting and using digital badges. For instance NASA, Purdue University, Penn State, the United States Air Force, and the City of Chicago, are all using digital badges to award and recognize a variety of skills and achievements. These organizations and other supporters of digital badges suggest that the use of badges certifying specific skills and achievements will one day either take the place of diplomas and/or augment them. They have found digital badges are more powerful because they identify accomplishments in knowledge, skills, quality, and interests illustrating a more complete picture and detailed set of achievements than simple paper certificates or degrees (Catalano & Doucet, 2013).